Friday, December 14, is going to be a fun shopping experience with lots of our regular retailers choosing to stay open late for your Christmas Shopping spree and what better way to get you into the Christmas mood than to have the Chanteuse Carollers wandering through the City Street singing all your favourite Carols while you shop till you drop. 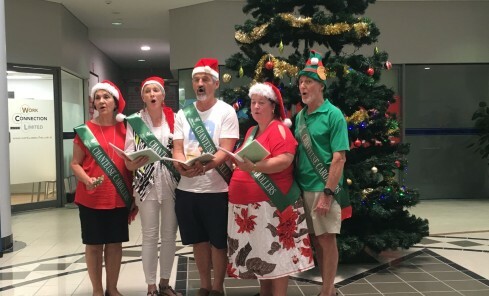 Don’t worry if you are too busy shopping you will have lots of opportunities to hear the Chanteuse Carollers as they commence their roaming through the City on Monday, December 10 for a two-week period, visiting various locations and businesses daily. So don’t forget keep an eye out for carollers as you will never know where they will pop up!